Moraine Fish & Chicken welcomes those in search of an authentic Southern fish fry, complete with traditional sides, combo meals and desserts. Dine in and carryout available. 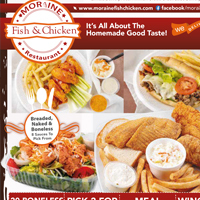 Whether you like it from the sea or from the coop, Moraine Fish & Chicken has got you covered. Choose from a bevy of fresh fish by the basket or the piece including fresh Tilapia, Cod, Ocean Perch, Shrimp, Catfish and more. 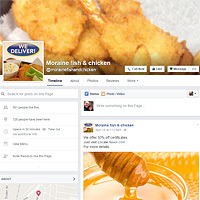 Chicken options include legs & thighs, tenders and their famous wings available breaded or buffalo with your choice mild, medium, hot, hot garlic, BBQ, spicy BBQ and hot mustard. There’s plenty of tasty sides to complete your meal but be sure to save room for some of their amazing banana pudding! 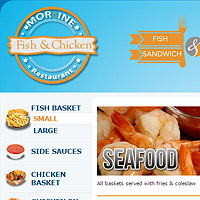 Dress up your dinner with a little Southern-style at Moraine Fish & Chicken.